This is a partial preview. Full document is 97 slides. View large preview. This deck is a collection of best-in-class strategy analytic templates. The templates have been categorized into the following topics: Supply side, Demand side, Customer, Operation, Supply chain, Strategy, Financial analysis/modeling. The deck uses analysis templates in the financial services industry for illustration purpose but the slides can be adapted to fit various industries. The slides provide both quantitative and qualitative information including many useful frameworks, tools, checklists, models, diagrams and charts. It is an ideal reference document for management consultants, business/financial analysts, corporate managers, and MBA students. 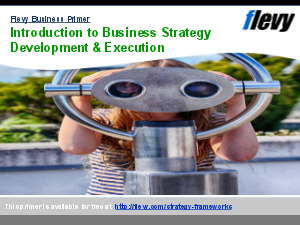 See also "Corporate Strategy Design Consulting Report"
See also "Strategy Articulation Workbook"
See also "Pricing Strategy Workshop"
See also "Pricing Strategy Implementation Toolkit"
See also "Post Acquisition Integration Strategy (Post Merger Integration - PMI)"
Strategy Frameworks? Consulting Frameworks? Total Quality Management? Or something else.